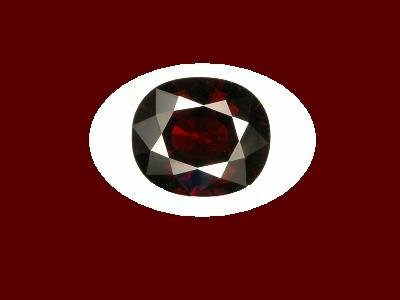 This Garnet is 9x7 mm with a depth of 3.5 mm. It is estimated to be over 2 carats. The color is purplish red and is about 3/4 clouded yet still has a great deal of sparkle. This gem is nicely faceted. Our gems are natural genuine and not lab created or cubic zirconia. This is a stock photo and may differ slightly than the photo shows. We try to be as specific as possible but all measurements are approximated. All gemstones may be combined with jewelry purchases for the discount shipping price. If you would like a gemstone holder/case, please see our gift box area to order one.